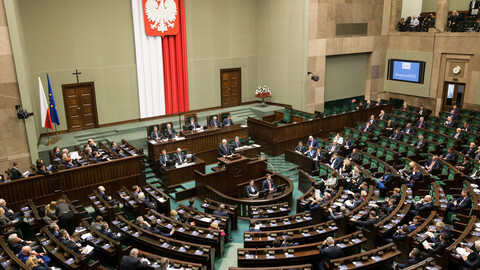 The Polish parliament adopted a controversial reform of the Supreme Court on Thursday (20 July), stepping up a showdown with the EU. The law, which puts the Supreme Court under government control, was passed with 235 votes against 192 and 23 abstentions, just a day after the European Commission had called on Polish authorities to suspend the bill or face a rule of law procedure that could lead to sanctions. "We are coming very close to triggering Article 7," the EU executive vice president Frans Timmermans warned on Wednesday, referring to a rule of law procedure. The vote led the president of the European Council, Donald Tusk, who is a former Polish prime minister, to publish a statement calling for a solution to a "very serious situation". 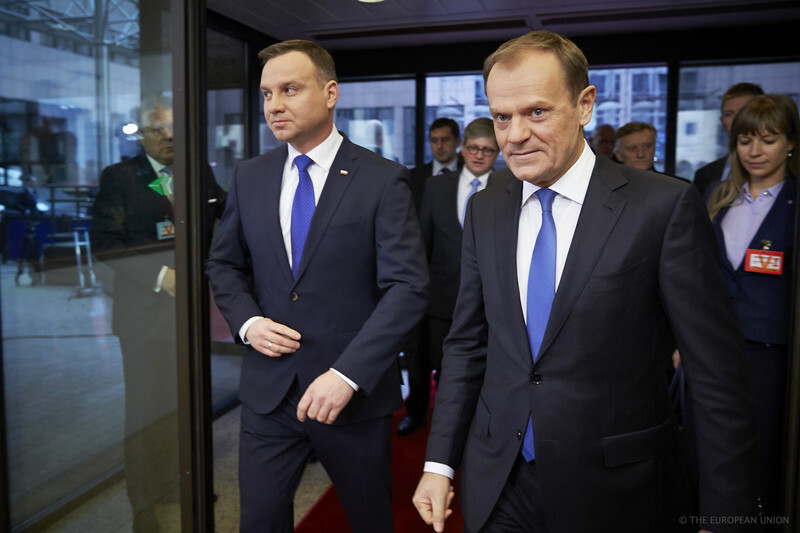 Tusk said that he proposed a meeting with Polish president Andrej Duda to try to avoid "bleak outcomes which could ultimately lead to the marginalisation of Poland in Europe." 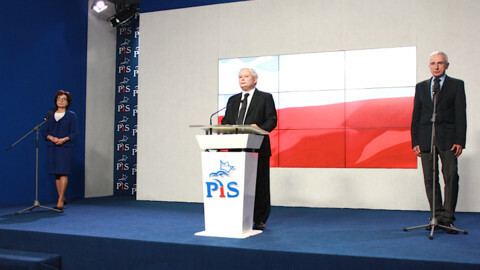 He said that the reforms carried out by the Polish government were a "dangerous tendency". 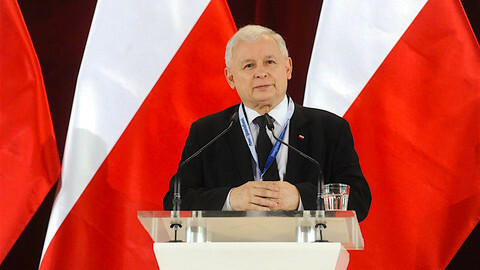 "They transport us - in the political sense - in time and in space: backwards and eastwards," he said, adding that they "ruin an already tarnished public opinion of Polish democracy." "Please let us try, Mr President," he urged Duda and called on "serious partners" from Warsaw to talk with the EU. The Supreme Court reform was passed despite the EU's warnings but with a few changes compared to earlier drafts. Under the adopted text, the president of the republic - not the justice minister - will lay down the rules of procedure for the Supreme Court. Also, the president - again, not the justice minister - will also decide which judges may keep their seat in the court when the new law comes into force in 30 days, rather than 14 days as originally planned. A new disciplinary chamber within the Supreme Court will be introduced and disciplinary judges will earn 40 percent more than other judges. 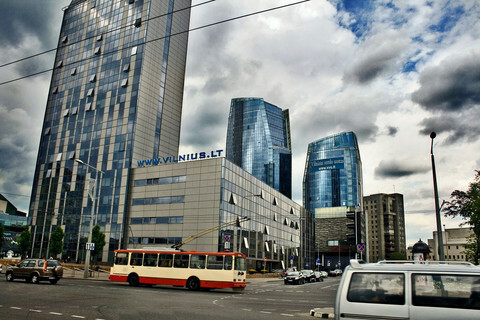 "We are finishing with the state within the state," justice minister Zbigniew Ziobro said on Thursday. He argued that "raising ethical and moral standards" within the judiciary is necessary,and that this "can only happen by bringing a disciplinary chamber to the Supreme Court." "We want the judges to be impartial and give fair and just sentences," he said. "You are destroying the right of Poles to an independent court, destroying the foundations of freedom and parliamentary democracy," Grzegorz Schetyna, the leader of the centre-right opposition Civic Platform said during the parliament debate. Lawmakers also adopted amendments to a law that was passed last Friday to reform the National Council of the Judiciary (NCJ). Under the amendments, members of the NCJ will be chosen by parliament with a three-fifth majority, instead of the simple majority as planned in the text adopted last week. 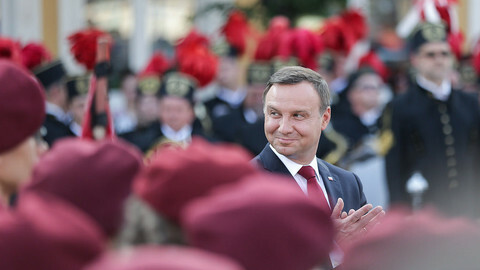 The change was a condition set by president Andrej Duda to sign the law. 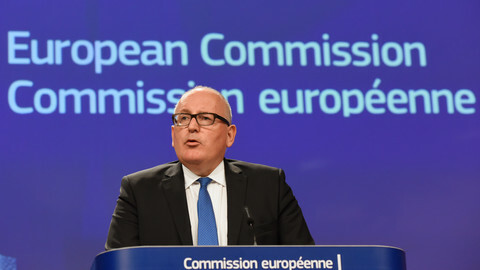 On Wednesday, commissioner Timmermans had said that the law, together with two other texts passed last week about the appointment of judges, "considerably increase the systemic threats to the rule of law in Poland." "Each law, if adopted, would seriously erode the independence of judiciary. Collectively they would abolish any remaining judicial independence and put the judiciary under full political control of the government," Timmermans said. He added that the consequence of the reforms would be that "judges will serve at the pleasure of the political leaders." The commission will discuss the situation next Wednesday (26 July). It will adopt a third recommendation under the rule of law probe that was launched last year after a reform of the Polish constitutional court, and it will launch infringement procedures for breach of EU law. After Thursday's vote, if the Polish government does not back down, the EU executive could also trigger Article 7 for the first time in EU history. The procedure would have to be confirmed by member states with a qualified majority. 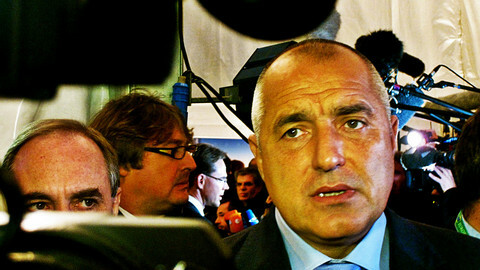 Several countries, like Hungary, have said they would oppose the move. 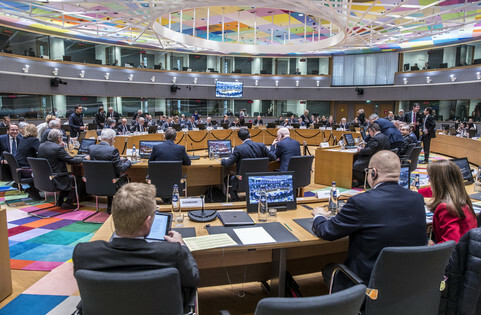 But Timmermans assured on Wednesday that the commission's concerns are "broadly shared" by member states. The EU executive will launch infringement procedures next week on Polish judicial reforms that break EU rules, and start discussing the possibility of triggering a sanctions procedure.